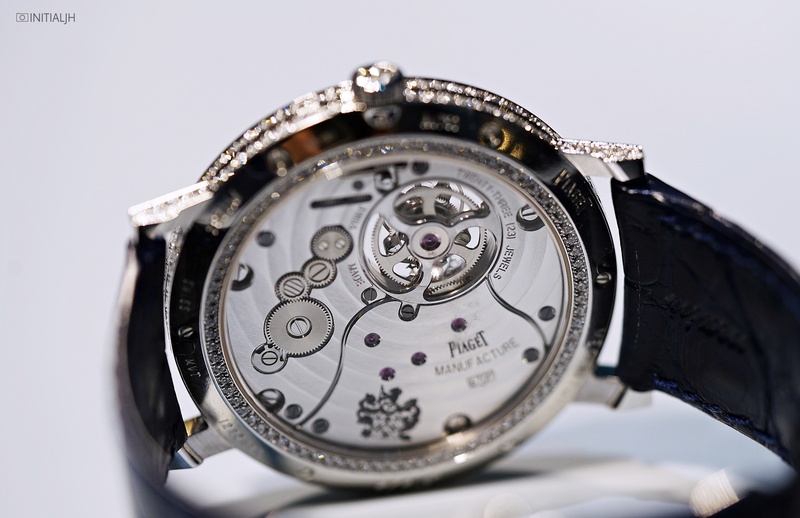 Piaget is perhaps best known for its storied ultra thin watch history courtesy of the Altiplano, but it has also been notable for coming up with some really beautiful dials in both men’s and women’s collections, some of which have made it onto their most well known watch. A few months ago, we took a look at some of their 2018 stone dialled releases, but these have not been the brand’s sole use of stone this year. 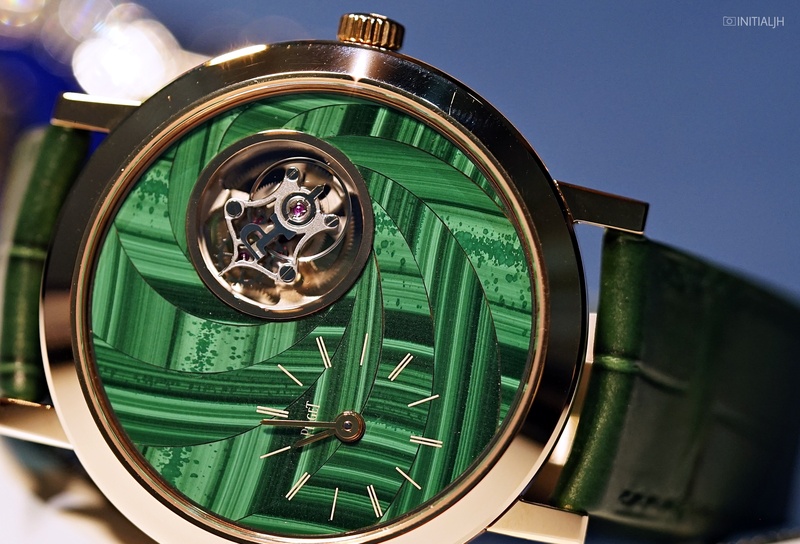 The Art & Excellence Altiplano stone marquetry tourbillons combine both the ultra thin and dial art aspects of Piaget’s horological creations, and the malachite version was submitted to the 2018 GPHG competition. In 2017, a tourbillon appeared for the first time in the Altiplano collection, and about which you can read here. It featured the ultra-thin (4.6mm) manual wind Calibre 670P, which is the same movement as the one in today’s watches. 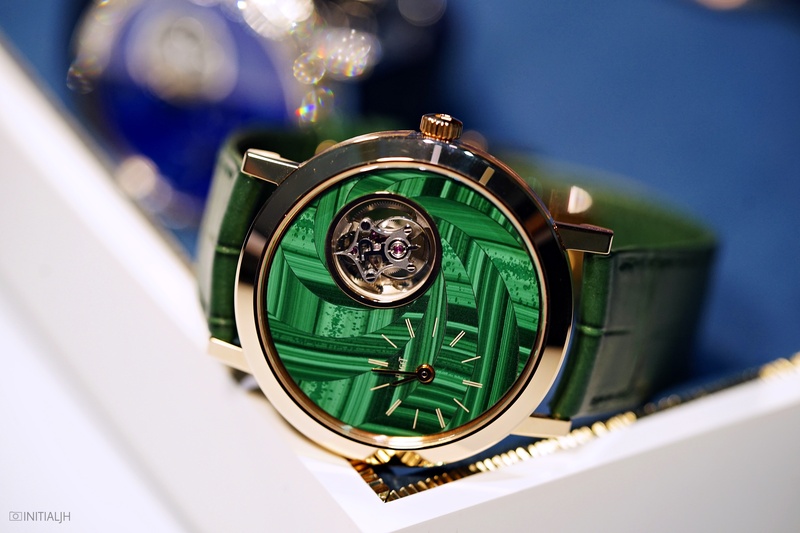 The major difference between this year’s pieces and last year’s is that the latter featured a flinqué enamel dial, whereas this year, Piaget has chosen to focus on malachite and lapis lazuli for these limited edition models. The ‘Maître d’Art’ behind these malachite and lapis lazuli tourbillon models is marquetry artist Hervé Obligi, who has helped Piaget bring something new to its use of stones, something for which it has a history going back almost as long as its Altiplano movement history. Hervé Obligi has been working with a variety of stones such as lapis lazuli, jade, jasper, and cornelian for 30 years. In 2015, the the same year that he started working with Piaget, his atelier was granted the title of ‘Entreprise du Patrimoine Vivant’ (living Heritage Company) by the French state. You may recall reading about the rather beautiful Yves Piaget Rose marquetry watch, which was also his work. Today’s watches are the product of their second collaboration. As mentioned in that earlier post, miniature stone marquetry is a complex business, and highly specialised. It takes between two to three weeks to complete a dial, starting with the stone blocks which are cut into fine slices barely 1mm thick. Unlike the matching ‘set’ of malachite watches we featured earlier this year, this one is not a single piece of stone adoring the dial, but requires considerably more skill, with the malachite cut and positioned to create a patterned design. How is this done? Well the lines of each design element are traced on the stone with brass tool. These plate are then cut into thin strips using a miniature bow saw composed of a hazel tree branch and an abrasive-coated steel wire. Once cut, the stripes are adjusted and assembled, attached to a surface, and then the joints sealed with heat glue before any empty spaces are filled with pine resin. After that, comes the polishing, to achieve this final swirl design. Surrounding this quite intriguing dial is a 41mm pink gold case, with the hour markers on the offset dial also in pink gold. It comes on a green alligator leather strap with a metal-matching folding clasp. 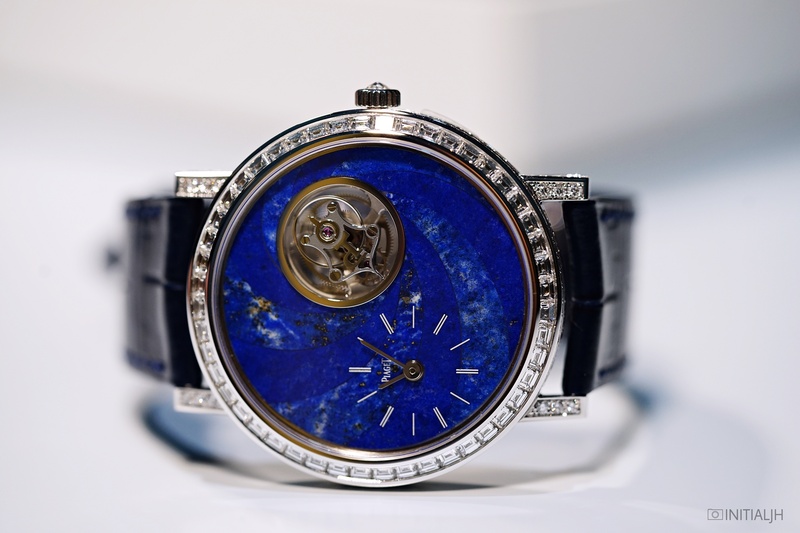 The Altiplano High Jewellery lapis lazuli marquetry tourbillon is the model closest to last year’s high jewellery piece, as it is also in a 41mm white gold case with a total of 5.07 carats of brilliant and baguette-cut diamonds adoring the bezel, case band, lugs, crown, and even the clasp of its strap. The swirled decoration is not as markedly visible for this dial as it is for its malachite cousin, but it is still there, with the gold speckled dial in varying shades of blue. The watch comes on a matching blue alligator leather bracelet set with an 18 carat white gold folding clasp. As mentioned earlier, powering these is the Piaget Manufacture Calibre 670P, a manual wind movement with a thickness of 4.6mm and featuring a flying tourbillon that weighs 0.2g. It has a power reserve of 48 hours and features Côtes de Genève, circular-grained mainplate and bridges, and hand bevelled bridges. Both of these pieces are only available from boutiques, and in limited editions of eight pieces each.